After 4 years, Olympics games are back, Now everyone is ready to move to London for the 2012 Olympic Games. This year we will see new records, team work, some precious moments in these games.And with the help of technology, we can actually catch all this and more from the comforts of our living room. Here , i list the websites on which you can watch live Olympics with high speed streaming links. It is the best source to watch Olympics online . You can watch live as well as highlight clips live, right on your browsers on pc or tablets or smartphones, and absolutely free. 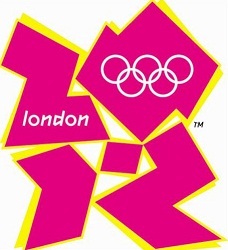 The channel will be cover more than 2,200 hours of the London 2012 Olympic Games live events, event highlights, news clips and medal finals – all with English commentary. This is a dedicated you tube channel for Canadians for watching Olympics online. It also provide incredible view events occurring not only in Olympics but outside too. This dedicated Youtube Channel called CTV Olympics. Olympic.org is the official website for Olympics games. It’s the main dedicated website to Olympics, all other website get feed from this website. It offers live results, medal ceremonies, news, photos and videos.